I forgive myself that I have accepted and allowed myself to not realize that Experience is always the Result of the Past Directing the Present, Directing the Future and is the Result of Energy Patterns Being Dominant instead of Common Sense Directive Living that is Best for all Life Here. I forgive myself that I have accepted and allowed myself to not realize that to Pass Over as Death is Showing that the Past is Over as a Reminder that the Past is not Life but Ego as Energy that ends up Dominating Life Like a Parasite that takes Life Hostage as its Host to feed off Life till NO Life Remains, as the World Experience Demonstrates so specifically. I forgive myself that I have accepted and allowed myself to not realize that Self Forgiveness is the Cross Placed as the Line not to Cross to become the Experience of the Past as that would Cause Energy to be the Directive Force instead of Life Being the Directive Principle as What is Best for all Life Always. I forgive myself that I have accepted and allowed myself to not realize that Effective Self Forgiveness is the Crucifixion of the Past as the Fiction it is, as the Past is NOT Here Unless the Past is allowed as Experience to Become the Present Illusion, Creating a future of Illusions in search of Experiences, limiting Life to Become just Temporary Energy. I forgive myself that I have accepted and allowed myself to no realize that judgment is the Experience of the Past confirming that Life is Not Here, as the Experience of Energy Resulted in actions and Consequence of Energy Self-Interest that Crossed the Line of Dividing Life into Past, Present and Future - turning Life into the Fiction of Experience of Energy that is Desire, Perpetuating the Desires till Death as Crucifixion. Thus, unless one Die Alive and End the Addiction to the Experience of Energy as the False Image of Self, Death Ends the Experience as the Opportunity to Be Life is No More. 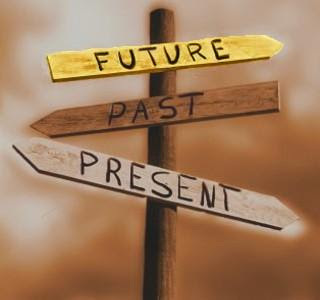 Thus, consider Rebirth as the End of Energy and Not the Purification of Energy as All experience as Energy is Always just the Past Repeating itself - and unless the Past is Over, Life will not Be Born from the Physical as What is the Same Yesterday, Today and Tomorrow. I forgive myself that I have accepted and allowed myself to not realize that the Message of Jesus is His Life as a Graphic Detailed Description of the Past that is Over, Crucified at the Cross of the Line Not to Cross, so that Each can Rebirth Self Here and Be the Resurrection and the Life as the Word that Became Flesh as the Living Word and the Living World. In this, Jesus Placed Forgiveness as the Way to Self, as the Tool with which Life is established as the Flow of the Blood through the Body as Life - because when Death arrives, the Past is Over and Life Returns to Source as Dust and All Experiences Embedded as Memories of Self-Delusion is NO MORE. I forgive myself that I have accepted and allowed myself to not realize that Consumerism is the Selling of Experience as Energy taking the Participant into a World of Illusions where Life is Crucified in favour of Self-Interest till the Body Pass Over. I forgive myself that I have accepted and allowed myself to not realize that Resurrection is the Process of Rebuilding the Body as Life after the Past as Energy is Forgiven by Self as the End of the Illusion so that the Body becomes the Living Word as Self as Flesh that is Here as Life as what is Best for all Life Eternal – and that this is the Only Way that Eternal Life is Possible. I forgive myself that I have accepted and allowed myself to not realize that Life is always Here Breath by Breath as Earth, Unless Life is SOULD to the Experience of the Illusion of Good and Evil in the Pursuit of Happiness where the Ego Ends up Living the Dream, as Earth turns into a Nightmare. I forgive myself that I have accepted and allowed myself to not realize that Self Forgiveness in Self Honesty is the Crucifixion of the Ego, as the Experience of Illusion as Energy, till all Mind Energy stops at the Death of the Ego so that the Flesh can be Resurrected as the Living Word, as what is Best for all Life - so that Peace Eternal will be established on Earth as Heaven as what is Best for all Life. I forgive myself that I have accepted and allowed myself to not realize that the Trials and Tribulations in the time of the Revelation of the Effect of the Addiction to the Experience of Self-Interest as the Image that Ends in the Grave as the Graven Image, is Necessary – as it is allowed and Created by the Fake Self as Energy that Attempts to Ascend to Ever Higher Frequencies of Self-Interest in a Desperate Bid to Hang onto the Experience of the Fake Self, Disregarding the Extensive Revelation that is On Earth Demonstrating that Experience as Energy is Not Life, but is Only the Past that Eventually will Pass Over. I forgive myself that I have accepted and allowed myself to not realize that there is an End to Energy as Experience just as there is a Beginning to Energy as an Experience and that this is Revealed On Earth for All to See, to See who will Free Themselves from this Energy to choose Life, because Unless One chose Life and IS Life Here Eternal, Established in the Way of Life One Leaves Behind for the Children to Come, One will Certainly Die. I forgive myself that I have accepted and allowed myself to not realize that this World System as Accepted on Earth is the Evidence of the Abdication of Life and the choice to Prefer Self-Interest as Experience of Energy, and that this Illusion will come to an End – yet, the Physical World will Not be affected by the End of the Energy Illusion and those that do chose Life and prove this as the Living Word as Flesh will Receive Eternal Life Here on Earth as the Way of Life that will Exist as what is Always Best for allLife. I commit myself to show that all Experience as Energy has its foundation in the Past and that Self-interest is the Attempt of the Graven Image to Control the Future as Happiness that is never Equally Given to All, causing Extensive Abuse of Life and living Being to Become the Accepted and Allowed Norm on Earth as if this is Normal. I commit myself to show that Death Demonstrates that the past as Experience Based on Memory Comes to an End, and that the Graven Image as Self, Branded the Illusion of Self as Energy into Symbols of Happiness in Self-Interest that has no Care for Life whatsoever. I commit myself to show that Jesus as the Living Word as Life as the Same Yesterday, Today and Tomorrow was changed into a Commodity of the Graven Image to Be SOULD as the Experience of Self-Interest, Misdirecting the Children generation after generation, establishing Hell on Earth for Every One that Does Not have Money to Buy their Experience, or to Support themselves, or their children - and that those WITH MONEY will not Give Up THEIR DREAM until they LOSE it all, even their Lives. I commit myself to show that the Equality of the Process to Life is the Same for Everyone: as Self Forgiveness in Self Honesty, as that is the One Test the Graven Image as the Energy of Self-Interest will Always Fail to Make sure that No One that is Not Life will enter Eternal Life. I commit myself to show that the Energy as Self-Interest, as the Desire of Experience in the Pursuit of Happiness, as the Individual Self as Choice for this Self-Interest - is the Graven Image that will End in the Grave. I commit myself to show that Rebirth is Not Energy or Feeling Based, but is Life Here as the Flesh, as the Living Word, as What is Best for all Life – breath by breath – that is Trusted as the Same Yesterday, Today and Tomorrow, as Eternal Confirmation of the Consistency of the Choice as Life, so that Life of Earth for each New Born can and will be Trusted to always Produce what is Best for all Life. I commit myself to show that Memories as Emotions and feelings of Given Values are the foundation of the Ego as the Graven Image that has taken Life Hostage in Favour of Self-Interest and that the Time is here where this Abuse will End, as the Graven Image is Doomed, as it has always Been Doomed, and that which is Not Life: can Never Be Life. I commit myself to show that Consumerism on Earth is the Manifestation of the SOUL as SOULD to the False Image of the Self-Interest of Experience as Energy that will Do Anything possible to Convince itself that it is Possible to Ascend to Life as Something NOT on Earth, while Only EARTH is the key to Life and NO One that Does Not Birth themselves from the Physical as the Living Word as Flesh as what is Best for All Life, will Receive Eternal Life as they did not Give Eternal Life to all as Equals. I commit myself to show that Living the Dream is a Nightmare for those Not Part of the Dream, and as the Dreamer Gave Nightmares to Others, the Dream will turn into a Nightmare for the Dreamer. I commit myself to show that Ascension as SOULD in Self-Interest as Energy is But an Illusion that will ensure that those that do not Deserve Life, will Never Be Life. I commit myself to show that ALL is being Revealed Right Now on Earth to show that the Now as Energy is Not Life and will never be Life as it only Serves the Experience of Self-Interest while Millions without Money have NO Access to the NOW that is being SOULD. I commit myself to Show that the Destiny of Life is What is Best for all Life, and Each is Free to choose whom they will serve: Life or Not Life.